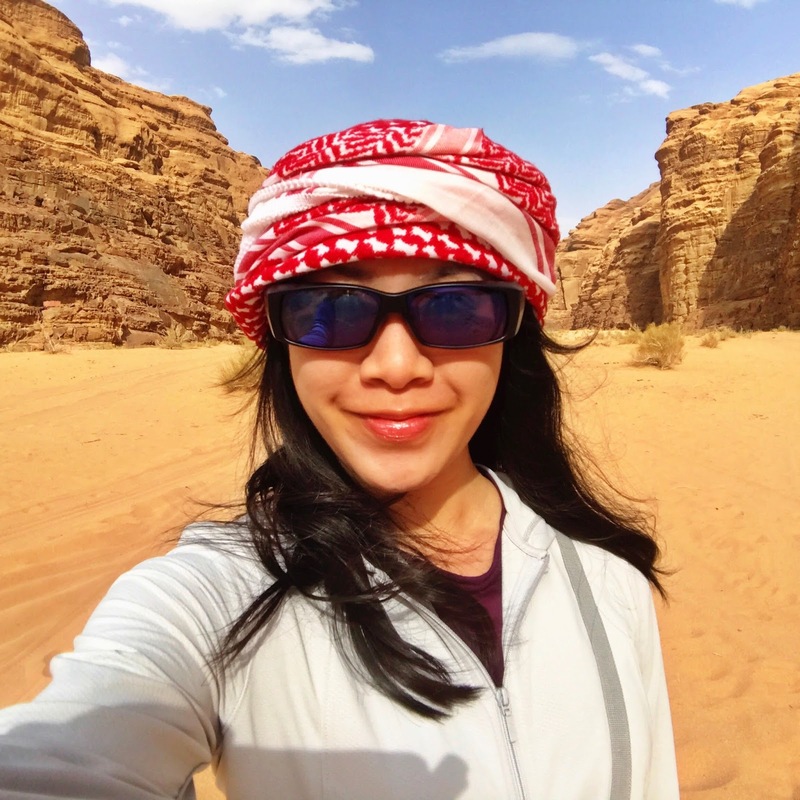 I faced incredulous stares from almost everyone who heard that I was going to the Middle East – alone. From the gasps of, “Is it safe?? ?” to “Your parents let you go ah?”, it was getting a little repetitive. Don’t get me wrong, I appreciated the concern that people had but it was clear that the mainstream media reports have struck misconception in everyone. And to be honest, I had some of them myself. When I heard that my friend Ai would be in Israel for six months, my first reaction was the same as what I had received. After she assured me that it was safe, I decided to go. Israel wasn’t at the top of my list but Jordan was near the top – after Croatia. I never ever thought that I would get the chance (or find the courage) to go, but since the opportunity came, I took it. I left the Singapore solo but I was never really alone (except for my long bus rides). The people I met were endless. Let’s see if I can list them down (in the order I met them): ZH, Kevin, Omar, Abdallah, Belal, a group of NUS students, Yoram and his awesome family, Ariel, Josh, Aleah, the sweet couple from Colorado, Jeff, Lin, Becky, Anthony, Mr Boston (I didn’t ask his name), Joshua (he proposed to me, I turned him down), Osama and Basel. With exception of a few in the above-mentioned, I spent quite some time talking with each and every one. Isn’t it funny that I needed downtime when I was ‘solo’? I needed to disconnect myself from the world around me and shut down. And I found my downtime on my bed and when I had my long bus rides. There’s so much hype nowadays on ‘solo travel’. I travel solo not because I want to join the gang but because it’s not easy finding someone who can take leave at the same time, have similar travel styles, get along well together and will share your food. If I find such a person, I’ll definitely travel together with that person. But like I said, being solo doesn’t mean you’re alone. The two main concerns that people had were 1. attacks and 2. men. I was more worried about the men, especially in Petra and Wadi Rum (after reading that some of the Bedouins can be harassing). But I felt safer in the Middle East than I did in Cambodia or the US. I did not hold on tightly to my bag the way I do when I’m in Bangkok. With a list of misconceptions that were told to me, I broached the topic with the locals. And here’s what I found out. Jordan is safe. On my first day of alone in Aqaba, I foolishly brought my passport in my bag for my dive. I asked the guys where I could keep my passport. Omar said, “Why did you bring your passport? The only ones that will ask for it are the fishes. But seriously, you can just leave it in the car. No one will touch it.” Oh really? I asked Abdallah if I needed to hide my bag in the back (you know, like what Daddy does in oh-so-safe Singapore), “Nah, leave it. I just leave my bag on the seat. No one takes things which are not theirs.” I was literally blown away. Not only in terms of theft (or the lack of it), but Jordan is safe enough for a solo female. Yes, I felt stares from the boys/men. Yes, the ladies eye you up and down. But no one disturbs you. I think I was just eyed up and down because I was a tourist of a different race. In no way did I feel threatened. Of course, don’t do foolish things like walking along the streets alone (or even if you’re with friends) with the bare minimum of clothing at 2am in the morning. And from blogs and reports, do not accept invitations from Bedouins to ‘come sleep in my tent’ if you’re alone. Israel is safe. Ai and I walked back from our late dinner at Max Brenner’s at 12+am in the morning. We had to take the sundown train from Acre back to Tel Aviv and the train only started at 8:18pm because it was Sabbath. By the time we reached Tel Aviv, it was pretty late…and we still had to eat dinner. The area was totally safe and I never felt a tinge of danger. The rest of my stay in Israel was the same – the knowledge of safeness because of the high security. Yes, I’m sure there the unsafe areas, but don’t every country have them? I practice more caution when I’m in JB (Johor Bahru) than when I was in the Middle East. Walking alone in the streets is safe. Remember Joshua? So, the tiny group of us went out for a chit chat session / supper after his proposal. It was there that he told the group that he thought I was brave. Brave?? He said that when he saw me walking along the city by myself, he thought to himself, “Wow, she’s brave to walk around alone.” And I was walking around alone in the afternoon in Israel. Not in the more ‘dangerous’ countries. The only ones that stopped to talk with me were a group of little boys walking beside me on the narrow streets. In fact, I talked to them first. They then wanted to know what I was wearing on my wrist (my Xiaomi Mi Fitness Band), they asked if I had candy (I didn’t), they kept asking “Jackie Chan?” (at which I did some ridiculous martial arts moves). I asked them if they went to school and they told me that they were coming back from school. I looked at their little brother/friend lugging his bag and laughed because he was so cute. So dangerous. It was in Nazareth that I heard sounds like bombs and gunshots. I looked around hurriedly only to see everyone calmly going about their day. It happened a few times. I was sitting down waiting for Shakshuka to be cooked when the gun shots sounded much closer. I looked up with wide eyes only to have a lady tell me that the gun shots I heard was from a wedding celebration. She then told me not to be scared. I did not once feel threatened walking along the streets in Jordan or Israel alone. Of course, I did not walk alone in secluded dark areas late at night. Don’t do foolish things and you’ll be fine. Singapore was ranked as #6 out of the ‘The world’s 20 safest countries, according to the WEF‘ but we still have crime and murders (granted that murders are quite rare). Jordan was ranked #7 out of ‘15 countries that are safer than the UK, according to the WEF‘. Israel is not on the list. I actually pulled out some of stats for my family’s knowledge…I am going to a country that is safer than the UK! My point is this, anything can happen to anyone if you are at the wrong place at the wrong time. You can get killed in a controlled environment. You can be waiting for the red light to turn green and have a stray car hit into you. Will people avoid that traffic crossing and call it unsafe? You can have a neighbor go crazy and kill his/her family members. Will everyone sell their apartment and move away because it’s unsafe? People choke on fishballs and die. Will you stop eating fishballs? Or will you cut it up before you eat them? Just take precaution wherever you are. Be aware of your surroundings. And again, don’t do stupid things.